The sites of the West Coast of America are truly amazing. 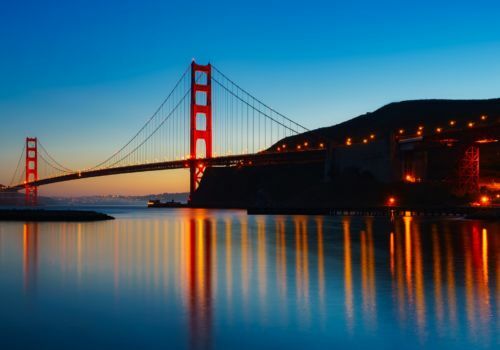 You’ll visit some of the most famous cities in the world like Los Angeles and San Francisco as well as incredible natural wonders including the Grand Canyon and Yosemite. Be your own boss and set your own pace with a luxurious set of wheels which is the ideal way to discover the Best of the West. Welcome to Los Angeles. Kickstart your adventure as you pick up the keys to your new car. This morning, your first drive will be to fun-filled Anaheim, Orange County, home to the original Disneyland Park and the nation’s oldest theme park, Knott’s Berry Farm. After meeting all the Disney characters, venture east to Palm Springs found at the base of the spectacular San Jacinto Mountains and look forward to relaxing in one of the renowned hot springs or spas. Downtown Palm Springs offers some excellent dining options for that evening, or alternatively, ride the aerial tramway for panoramic views of the Coachella Valley. The gay nightlife in Palm Springs is also worth checking out. Have a relaxing morning by the pool or wandering around the several museums, art galleries and shops of Palm Springs. After lunch, enjoy the drive east through Coachella Valley towards two of Arizona’s top destinations: Phoenix and Scottsdale. The former is a skyscraper-filled city with a backdrop of the well-known Camelback Mountain. Scottsdale has a unique combination of Old Western charm and buzzing nightlife. 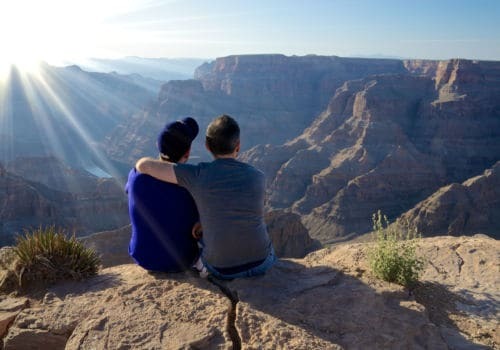 The beauty and sheer enormity of the Grand Canyon, part of the Grand Canyon National Park, can overwhelm your senses and will be one of the main highlights of your trip. Carved in the Colorado River, the Grand Canyon is an incredible natural wonder with millions of years of geological history. Marvel at the panoramic views from the various overlooks, some of which extend over 100 miles on clear days. Now that you can successfully tick the Grand Canyon off your bucket list, start off your day heading west through Williams and Kingman. You’ll be at the heart of Route 66 and will go to Hoover Dam, which supplies much of the water and power to the Southwest. Hoover Dam is at the border of Arizona and Nevada, en route to Nevada’s best city that needs no introduction: Las Vegas. 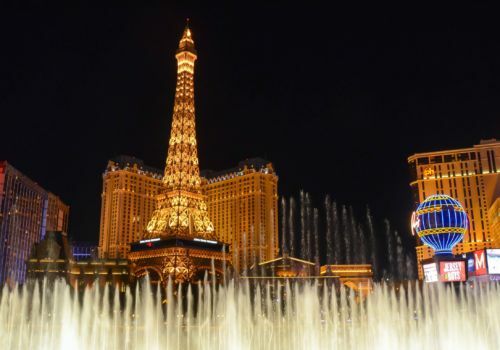 Be wowed on the Las Vegas strip. 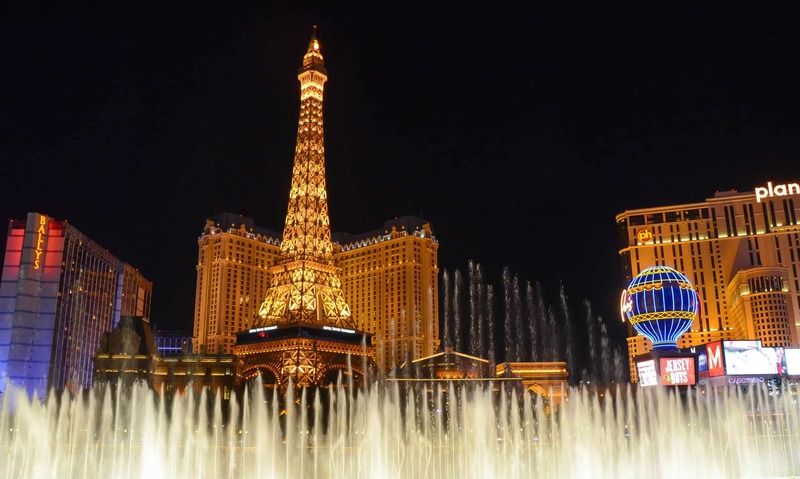 Test your gambling skills at one of the many casinos and soak up the buzz of the big lights and electric atmosphere. You’ll be spoilt for choice for things to do with every waking minute saturated with fun-filled activities from roller coasters to water fountain shows. Your day in Vegas will be one to remember. Make sure you snap a photo of the Welcome to Las Vegas sign before you go. In stark contrast to the bright lights of such a modern city, steeps of geological history and some of the best stargazing in the world await you in Death Valley National Park. The ghost town and vibrantly coloured rocks are what this desert area is best known for. This morning travel over Tioga Road, California’s highest drivable pass into the acclaimed Yosemite National Park. Immerse yourself in the best nature has to offer with spectacular views and dramatic waterfalls. Learn about the many wonders of the Yosemite with a range-guide as you stroll around the staggering rock formations that shoot up hundreds of feet into the sky. 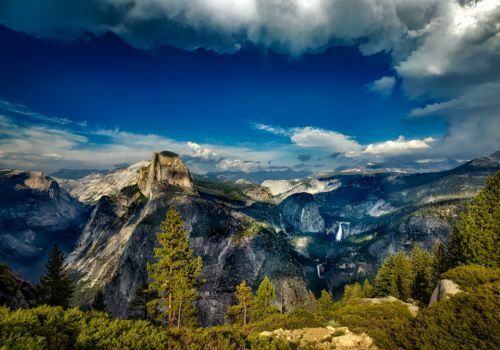 Soak up the wilderness comprising the vast meadows and trees synonymous with Yosemite. The vibrant city San Francisco will be your base for the next couple of days. This evening, relax with a drink or two in the Castro district, one of the world’s largest gay districts. Take a deep breath and jump into the exhilarating sights and sounds of one of the best US cities. Must-see neighbourhoods to explore include Golden Gate Park. Fisherman’s Wharf, Chinatown, Nob Hill, Union Square and the Embarcadero/Financial District. Venture over the Golden Gate Bridge or take a ride in an iconic Cable Car. For a relaxing day, travel North to Napa Valley which is strewn with hundreds of hillside vineyards making this the epitome of countryside scenery and acclaimed wines. A more low-key day awaits as you head south to Monterey. Rendezvous in the Old Fisherman’s Wharf in downtown Monterey, and work up an appetite for lunch at the popular strip of bars and restaurants. Take a stroll along the historic waterfront district of Cannery Row, the inspiration for John Steinbeck’s novel of the same name. Round off your day in the quaint area of Carmel, before an exhilarating trip along the 17-Mile drive from Pacific Grove to Pebble Beach. The Santa Ynez Mountains serve as the backdrop as you venture into Santa Barbara. The city’s Spanish colonial heritage is reflected through Mediterranean-style buildings with red-tile roofs. Farther south, you will notice the landscape changes to oak-studded hills and the road passes Hearst Castle and ends in Morro Bay. Slightly further inland is San Luis Obispo which serves as the heart of the Central Coast. Round off your day in Ventura, the classic beach town located along the southernmost part of California’s Central Coast. On your penultimate day drive through the beautiful coastal stretch of Oxnard and the seaside town of Santa Monica towards Los Angeles. 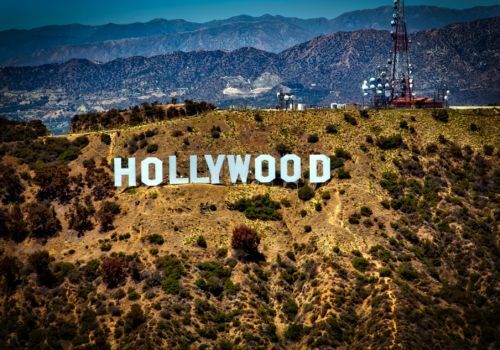 Experience glitz and glamour in the heart of the world’s entertainment industries. 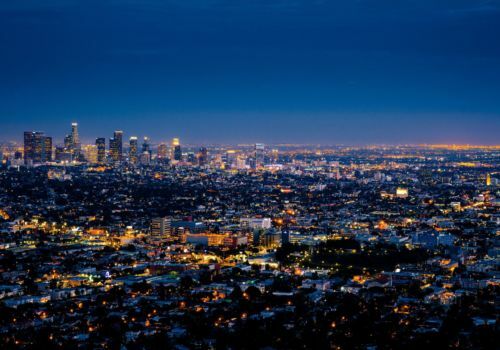 Must-sees include the Hollywood sign, Walk of Fame, Sunset Strip and Rodeo Drive. Awash with rainbow flags is West Hollywood, referred to locally as ‘WeHo’. With high energy nightlife and a number of highly acclaimed restaurants, you can be sure of a fun-filled evening at one of the most prominent gay villages in the US.